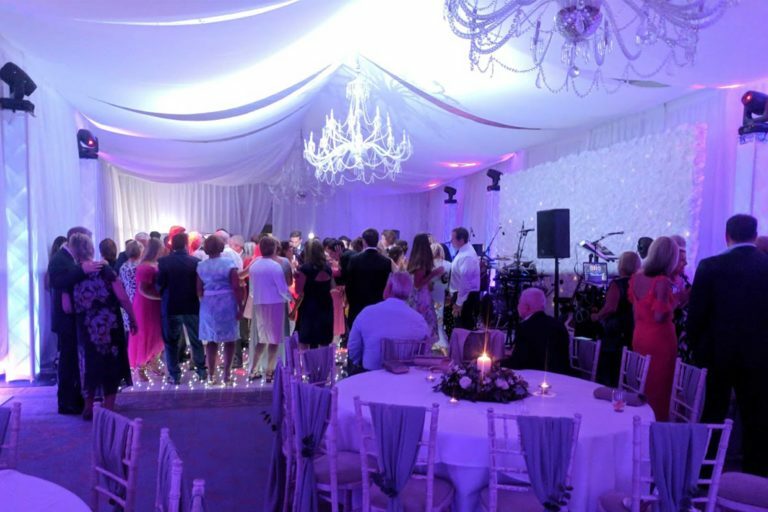 We have previously simply provided a starlit dance floor, starlight backdrop or LED uplighting for bride and grooms all the way through to a full AV production. Our Technical Director Jon recently got married himself at Ansty Hall and he wanted to add many AV elements to the day and change the look and feel of the venue. A flown truss structure, which supported all of the speakers, two mirror balls and twelve moving head lighting fixtures, that were used to add light to the tables. During the room turnaround we added a 16ft x 16ft white starlit dance floor and a wide variety of our LED Furniture and lighting outside the venue. One of our Wedding DJs also provided the music for the evening reception. 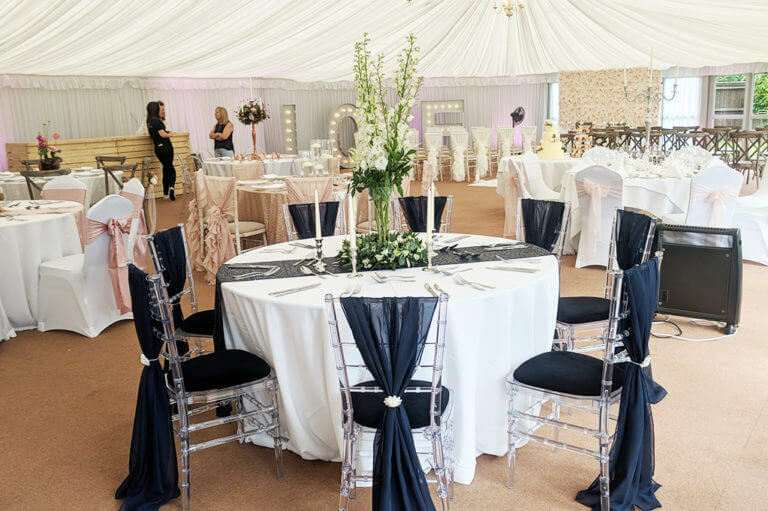 If you are planning on getting married at Ansty Hall we would love to speak to you and show you the options available to add the WOW factor to your day.